The Emu Room at Carinya is our preschool room which caters for children’s learning and development from ages 4-5. Our program is strongly linked to children’s interests and voices as well as linked to parent goals which support us in providing holistic school readiness experiences as well as lifelong skills. Our Weekend Book, allows our families to further contribute to their children’s learning and development and strengthen our relationships as we plan provisions and experiences that link directly to interests, strengths, physical and emotional well being, home culture and the community. 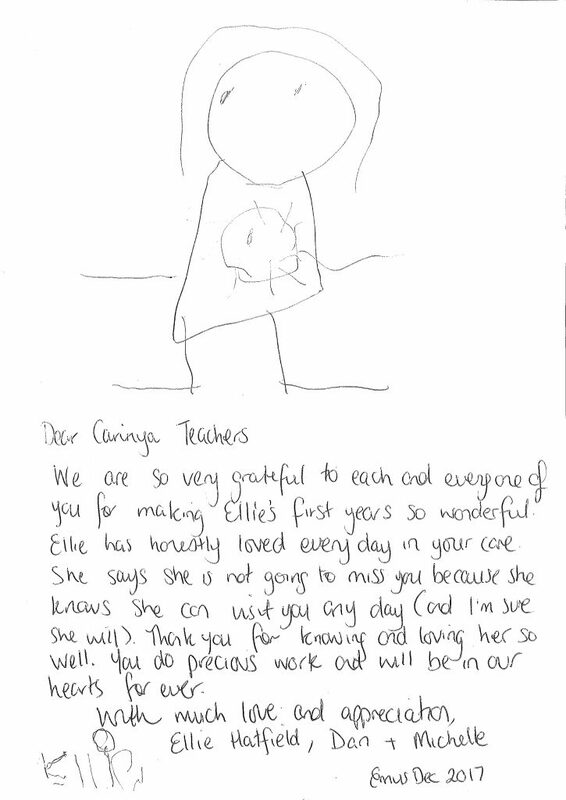 We pride ourselves on our relationships with our families and value their contributions to their children’s learning. As a way to foster confidence, positive self esteem, fairness and a sense of belonging, we implement a classroom Travelling Bear. This ongoing experience provides children with opportunities to explore collaboration, cooperation, develop self-esteem, confidence, understanding, resilience and belonging to a classroom community of learners. We embed “Worry Woos” and “Kindness Elves” as a way to support emotional intelligence by empowering children with the tools to recognise their emotional responses in different life experiences and deal with a variety of situations. Our Munch and move program is embedded in our day to day practices, linking to experiences that the children often request, such as; yoga, brain breaks physical movement, music and dancing, obstacle courses, circle games, bush walks and walks to our local amenities to foster community engagement. We place a large emphasis on exploring holistic environmental awareness within our daily practices in order to build understanding and compassion so that our children grow up learning to care for the environment in which we all live in and share. We embrace an acknowledgment of country daily in our room which states, “we promise to look after the land, animals and people too,” which fosters respect, understanding and recognition of our country’s history.